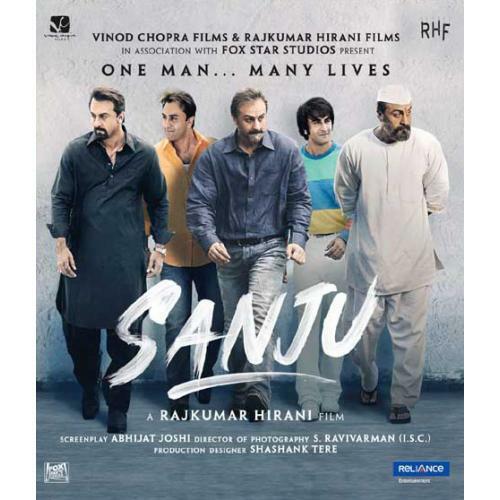 Sanju is a 2018 Indian biographical film directed by Rajkumar Hirani and written by Hirani and Abhijat Joshi. Sanjay Dutt, an actor from the Bollywood film industry, struggles with the legacy that is handed down to him from his parents, along with his personal dilemmas and vices. The film follows the life of Bollywood actor Sanjay Dutt, his addiction with drugs, arrest for alleged association with the 1993 Bombay bombings, relationship with his father, comeback in the industry, the eventual drop of charges from bombay blasts, and release after completing his jail term.